Each time I splutter into my coffee having discovered a great lady of TV has left, been sidestepped or eased into a comfortable, executive, non-troublemaker role I wonder when the ageism and female iniquity issues will catch up with the 21st century. In my own broadcasting career and even before that in the city I was fortunate to have worked for some dynamic and talented lady execs. Not once did I feel emasculated. Not once did I feel oppressed by a coutured matriarch. Each exec was my superior officer and I worked happily with them in a variety of roles from advertising to the law. 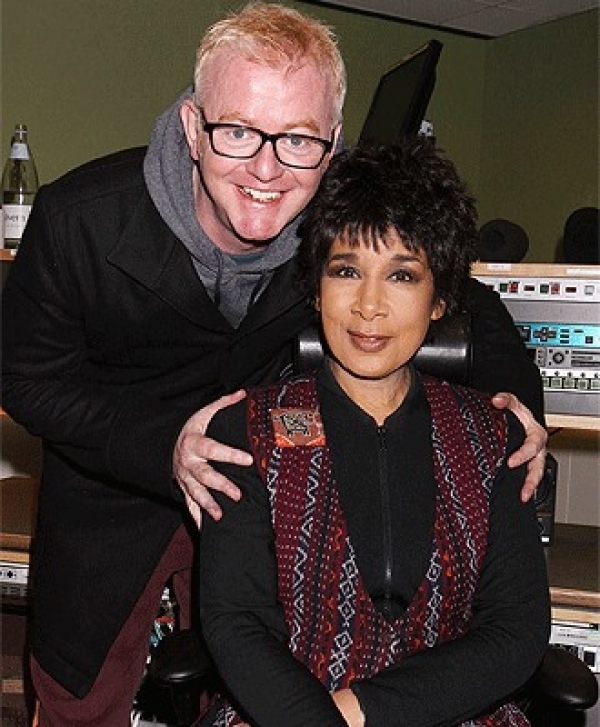 I wrote an article a little while ago for a leading broadcasting magazine about the return of Moira Stewart to the BBC. Sadly it was not her on-screen persona we would be treated to, just her voice, the voice of the news on the Chris Evans' Radio 2 show. At the time I said it was like having a good presenter hidden behind a curtain. I hoped it was not because someone decided that we shouldn't have to look at an old head on old shoulders and even a crow 's foot or two! I never understood why Moira was dumped from being on camera in the first place? Were we being protected from her aging facial features because age on TV is now a no, no? Actually if you're a bloke you are safe for longer in your broadcasting career. Julia Somerville; Zeinab Badawi; Fiona Armstrong; were once heralded as returning to us. I cannot say they have shone like refreshing spotlights in the viewing schedules that I have been scanning. Away from Beeb radio you may have not realised that the voiceover for the Fairy Liquid TV ads is supplied by the dusty, dare I say it, mature voice of Nanette Newman. Where once she was on screen caressing her face with the softer than soft back of her hand, thanks to Fairy, now she is the voice only. Anyway Chris Evans seemed delighted to have Moira reading the news on his show. I hear that she has a naughty side too. Hmm, now that deserves to be featured. Crikey it's Chris Evans' show, what better excuse could there be? Mr Evans knows people in telly so he should steer Moira back on the box but not reading the news. She should do a bit of abseiling. Now that I'd pay to see. Similarly I'd like Julia, Zeinab and Fiona to not only handle the news (I'm yawning now) but also dive into features that challenge their personalities. If they can be fun at home having a tantrum over Scrabble or felling a cherry tree, they can be fun on screen. Now I 'm not talking about wearisome, bric-a-brac rummaging programmes on a windy airfield, I'm thinking of something more demanding and out of their comfort zones. Forget oddball shows entitled Strictly Come Welding or whatever but a show that reveals more of the person behind the starchy Autocue reader. Women have a tough time for two reasons; they are women and they get older. Men are men and they get distinguished. Well I don't agree. In fact I feel that women in 2010 should be respected when they look at careers that pull them in different, even weird directions, directions that might see them storming the ramparts of male dominated enclaves. Perhaps I'm a rare bird having worked for some dynamic and inspiring female execs in my time who had the drive and sense of fair play that isn't always practised by the blokes. If someone has talent, skill and polished, even envied expertise, then give 'em the job. If they are female give 'em the job too and make damned sure the salary is the same as it would have been for a bloke. Now salary equality is another thorny topic. Don't get me started. Geoff Motley is a writer, broadcaster and talent consultant.